Billed as "Orlando's next-generation theme park," Islands of Adventure has certainly raised the competitive bar with its assortment of cutting edge attractions, thrill rides, and illusions. 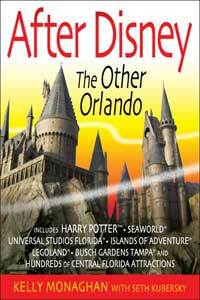 And thanks to the arrival of a certain boy wizard, Orlando's "next big thing" is now even bigger. 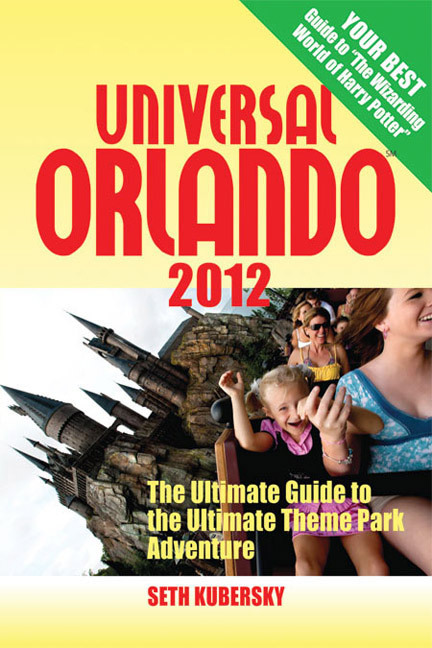 Islands of Adventure is located right next door to Universal Studios Florida, just a five- or ten-minute stroll away. Despite the proximity, Islands of Adventure is not just more of Universal Studios. It has a separate identity and, with some notable exceptions, its attractions draw their inspiration from very different sources than those in its sister park. Guests reach Islands of Adventure through the Port of Entry, a separate themed area that serves much the same function as the Front Lot at Universal Studios Florida. Through the Port of Entry lies a spacious lake, dubbed the Great Inland Sea. Artfully arranged around it are six decidedly different "themed areas" — Seuss Landing, The Lost Continent, The Wizarding World of Harry Potter, Jurassic Park, Toon Lagoon, and Marvel Super Hero Island. The "islands" of Islands of Adventure are not true islands, of course; but the Great Inland Sea's fingerlike bays set off one area from the next and the bridges you cross to move from one to another do a remarkably good job of creating the island illusion. The flow of visitors is strictly controlled by the circular layout. If you follow the line of least resistance (and it's hard not to), you will move through the park in a circle, visiting every island in turn. Roller coasters. Islands of Adventure introduced to Orlando some heavy hitters in the increasingly cut-throat competition for bragging rights in the world of high-end steel coasters. Dragon Challenge in The Wizarding World of Harry Potter features twin coaster tracks that intertwine and come within inches of collision, while the Incredible Hulk Coaster on Marvel Super Hero Island zaps you to the top of the first drop with what they say is the same thrust as an F-16 jet. Pushing the envelope. Universal’s designers take obvious pride in “next generation” rides and attractions that will be like nothing you have experienced before. As just one example, the Spider-Man ride takes standard motion simulator technology, drops it into a simulated 3-D world right out of T-2, puts it on a moving track, and spins it through 360 degrees along the way. Harry Potter and the Forbidden Journey further ups the ante by adding in-your-face animatronics and a first-of-its-kind ride vehicle. More for the kids. 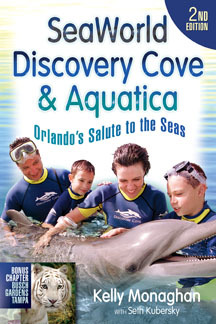 While Islands of Adventure provides plenty of the kind of intense, adult-oriented thrill rides for which Universal Studios became famous, it makes a special effort to reach out to kids. Seuss Landing is almost exclusively for the entertainment and enjoyment of younger children. Toon Lagoon will appeal to slightly older kids, Marvel Super Hero Island is the perfect place for adolescents to scare themselves to death, and Harry Potter has legions of young (and not-so-young) fans. More theming. Islands of Adventure is even more heavily “themed” than its sister park and many other parks. What that means is that the park designers have made a concerted effort to stretch the theme of each island into every restaurant, every shop, indeed into as many nooks and crannies as possible. With Potter’s arrival, the already excellent theming has achieved a whole new level of detail. Music. Islands of Adventure is the first theme park to feature originally composed soundtracks — one for each island — just like a movie. Of course, music is nothing new in theme parks, but what is both new and exceptional at Islands of Adventure is the way the music is integrated into the park experience. It swells as you enter each island, changes gradually as you move from one part of the island to another, and as you cross to another island, blends seamlessly into the next island’s theme. The effect is pervasive yet unobtrusive, so much so that many people may not even be aware of what a special achievement it is.